FREE Event. Saturday 18th June 2016, 2 – 8pm. Click ‘going’ on the official Facebook event for your chance to WIN a $300 Sunnybank Foodie’s Experience! 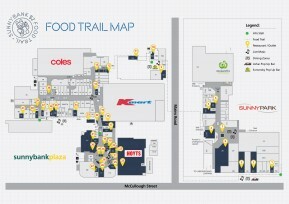 Foodies of Brisbane, rejoice – it’s that time of the year again, Sunnybank $2 Food Trail time. Gather up those gold coins, grab nearest and dearest, and take your taste buds on a self-guided foodie adventure around the orient – exploring and sampling a HUGE array of authentic $2 tasting plates on offer from local restaurants and vendors that you’ve come to know and love! 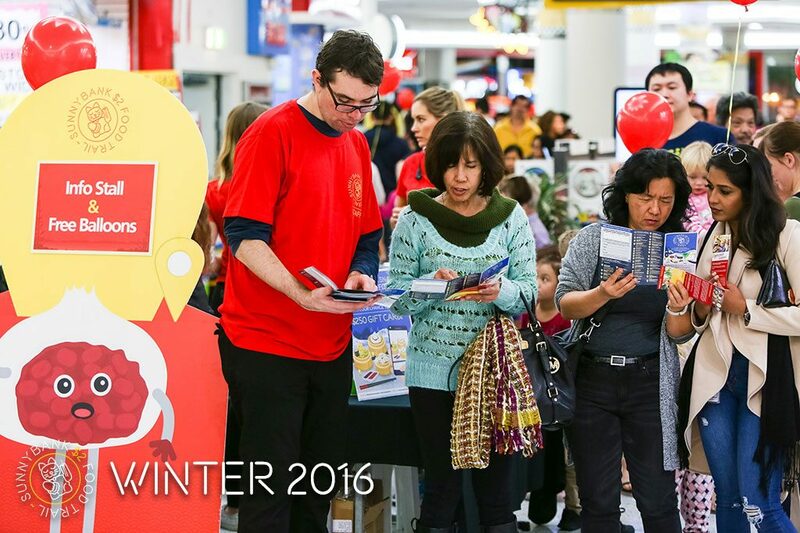 Our 2016 Winter Edition will be our biggest yet – where you can graze on a mouth-watering range of Asian $2 Winter dishes on offer from 41 local restaurants and outlets; including Chinese, Japanese, Hong Kong Style, Vietnamese, Taiwanese and more! Think steaming noodle soups, spicy BBQ stir-fry’s, delicious deep fried dim sum and more! As always, there will also be loads of LIVE music and entertainment throughout the trail; with talented local musicians and roaming performers, FREE balloons for the kids and everyone’s favourite – traditional lion dancers! Our friends at Asahi will also be joining the trail for 2016, with pop-up bars at both Sunnybank Plaza and Sunny Park – so you can stop in and sip on a refreshing cold beer along the way! Make sure you share your foodie snaps with us on the day, for your chance to WIN a $250 Experience Sunnybank Gift Card! Make sure your Instagram profile is set to public so we can see your post. 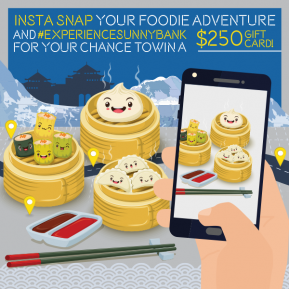 Follow us @experiencesunnybank to see the official Sunnybank $2 Food Trail Insta feed! 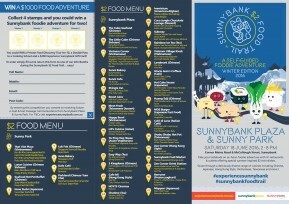 Click here to view terms and conditions for all Sunnybank $2 Food Trail competitions.